We have an immediate opening in our Cambridge-based PR agency for a part-time (16-20 hours/week) marketing associate. We’re looking for a creative, organized and independent person to join our team. You’ll work with agency principals to support marketing, public relations and advertising initiatives for a diverse and growing client base. Create and maintain media lists and editorial calendars. Distribute press releases directly and through online systems. Coordinate and track media placements; calculate reach, engagement and value. Research, write, post and/or monitor social media channels. Track and prepare reports measuring engagement and impressions. Research, write and post web content for agency and clients’ sites. Execute SEO and SEM strategies. Prepare monthly media and analytic reports. Organize and maintain client binders and records. Provide general research and administrative duties. Compensation is pending experience. The position also offers growth opportunities. Requires strong organizational skills and proficiency with Excel and Power Point. Experience in graphic programs, photography and editing software a plus. Degree or background in journalism, communications or marketing helpful but not required. For consideration, please email resume and letter to Andrea Vernot at Andrea@ChoptankCommunications.com. 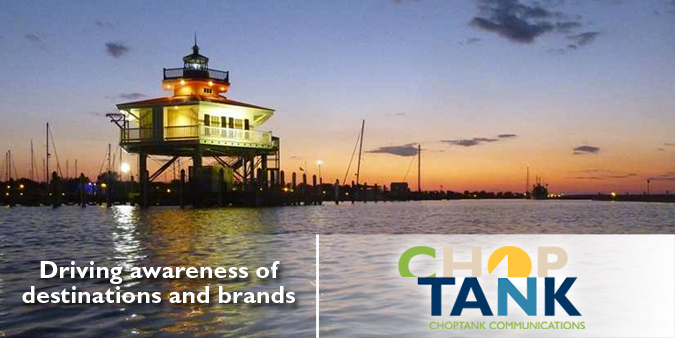 Learn more about Choptank Communications or see a sample of our client portfolios.